As the 9th Caribbean Renewable Energy Forum (CREF 2017) and the Utility Leaders Grid Modernization Workshop, took place October 18-20 in Miami, Florida, and the issue of how to build disaster resilient, climate-friendly, renewable energy systems was discussed. VERGNET has always been at the forefront of that topic, advising electrical authorities throughout the region. With over 25 years experience on microgrids and remote areas, VERGNET is a major contributor to renewables and resilience through its focus and commitment in these areas. The company’s thought-leadership and advocacy for better adapted and bespoke energy solutions has been consistent over the years in the Caribbean region as well as within other regions across the world. How to avoid a total black out in the islands? Puerto Rico, home to 3.4 million US citizens, was just beginning to heal from Hurricane Irma when it was hit by Hurricane Maria, one of the strongest hurricanes to ever hit Puerto Rico. All the island infrastructure has drastically suffered from the record rainfall and catastrophic flooding and sustained winds of up to from cyclones : “We’re talking here about major devastation,” Carlos Mercader, a spokesperson for the Puerto Rican government, told PBS NewsHour Wednesday. “And when we say major devastation, that means that in terms of infrastructure, we have full communities that 80 or 90 percent of the homes are a complete disaster. They are totally lost.” Communications to and from Puerto Rico are strained (cell service has been all but wiped out on the island), there is no electricity on the entire island — and it could remain that way for months. At least one wind farm (made of 13, 1.8 MW conventional wind turbines), at the Eastern tip of the island, was destroyed (whereas the 3 anti-cyclonic Vergnet MP-C turbines remained unscathed). Most utility-size PV plants (46.7 MW in Humacao, 23.7 MW in Guyama, Humacao’s sewage treatment facility) were destroyed. VERGNET installed 3 GEV MP C in Puerto Rico and can confirm that the wind turbines weathered the storms and were ready to put back into production just after the hurricanes. Hurricane Maria is a catastrophe that will scar Puerto Rico for months and years. Even if some wind farms and PV plants remained unscathed throughout the island, they could not go on supplying energy to the grid after Hurricane Maria, as the grid was down, and wind farms and PV plants are designed to be connected to a grid (power by Diesel gensets and/or hydro plants) which imposes both voltage and frequency. Puerto Rico’s electrical system is made up of thousands of miles of transmission lines, many running across mountainous and wooded terrain. Repairing those lines won’t be easy. In the event of a giant storm like Hurricane Maria, microgrids and smaller-scale electricity generation would have made it more difficult to decimate the entire system. This is the concept of a project VERGNET was recently awarded in the region even before Hurricanes Irma and Maria, where hybrid systems (wind and PV) will be connected to useful services such as hospitals or desalination plants. VERGNET have been installing projects in areas subject to extreme weather conditions since 1992 and now have over 900 wind turbines installed around the world. VERGNET’s solutions are specifically designed for isolated areas and for hurricane areas including the Caribbean, the Pacific and Japan. September was a terrible month for the Caribbean. That season is usually prone to hurricanes but this year has been very active with heavy consequences for local populations. The Caribbean islands have suffered terribly from the hurricanes Irma, Jose and Maria, all within 2 weeks. Our thoughts are with the people impacted by those storms and to all the technicians who are hard at work to rebuild their country. VERGNET has over 260 hurricane proof wind turbines installed in the area. The GEV MP medium-power wind turbine model that is installed in Cuba, Guadeloupe, Martinique, Nevis and Puerto Rico was specifically designed by VERGNET to withstand hurricanes by lowering its blades to the ground. VERGNET CARAIBES staff have been mobilized on site in order to tilt the turbines down and secure them both for Hurricane Irma and then for Hurricane Maria. VERGNET CARAIBES manager, Alexandre Vannier thanked his teams for their involvement within a very short space of time and in difficult conditions. We can confirm that our turbines weathered the storms and were ready to put back into production just after the hurricanes. They survived Hurricane Irma which was of Category 5 reaching its peak intensity with 185 mph (295 km/h) winds. It is the ninth most intense Atlantic hurricane on record. Then Category 5 hurricane Maria came along and attained peak winds of 175 mph (280 km/h). The islands of Guadeloupe and Martinique also endured widespread flooding, damaged roofs and uprooted trees. Puerto Rico has suffered catastrophic damage, including destruction of its previously damaged electrical grid but the wind turbines on the island survived. Although the last ones were dramatic, hurricanes are common in that region. The last season to have five major hurricanes was 2010, and before that, 2008 had five, 2005 had seven and 2004 had six. VERGNET settled a subsidiary in Guadeloupe in 1992 in order to be close to its achievements to do the maintenance and to have a team on site if necessary. It covers the whole Caribbean. Today, there are 14 people working for the subsidiary. Every year to reinforce the team during hurricane alerts, the VERGNET CARAIBES team trains about 10 people, called reservists, to help the current staff to secure the wind turbines on the ground. “As we intervene in emergency situations everyone needs to know exactly what to do in order to be the most efficient. Every year, before the beginning of the hurricane season, we organise a special training for reservists to intervene in case of a hurricane alert” Alexandre Vannier, VERGNET CARAIBES Manager says. VERGNET CARAIBES is in charge of consulting for renewable projects, installing and connecting them to the grid (at different levels), training staff in charge of operation and maintenance, maintaining facilities during their entire life cycle (for 20 years) and operating wind farms. At the end of September, 3 technicians from VERGNET CARAIBES went to Barbuda to help local population to recover drinkable water. “When we reached Barbuda and saw such a disaster everybody stopped talking on the boat. It was like a nightmare but no, it was reality” Alexandre said. They brought and installed E’Chlo sets. Each solar direct drive electrochlorination set is securing drinkable water for a few hundred people. The production is based on the addition of salt to non-potable water then the conversion of that into drinking water by electrolysis, working with a photovoltaic generator without battery via a production controller The team also assisted the repair of the desalination power plant. These actions will allow a progressive return of inhabitants of the village which is a first step before a long return to normal life on the island. The Kiffa Hybrid Power Plant is the first of its kind in West African subregion; it is designed as the sole power plant on Kiffa isolated electrical grid. Kiffa is the third most important town in Mauritania. The project, issued by SOMELEC, consists in the Engineering, Procurement and Construction of a 1.3MWp solar PV plant along with a 5MW thermal (LFO/HFO) plant. To achieve this innovative project, VERGNET (pool leader) entered a partnership with ABC DIESEL. The implementation of the project required the expertise and commitment of both companies to deliver highly advanced renewable energy solutions. ABC DIESEL supplies and installs the thermal plant together with the 33kV substation, while VERGNET is in charge of the whole civil works, the procurement and erection of the solar PV plant. The hybrid power plant features the Hybrid Wizard™ real-time controller developed by VERGNET, which ensures a maximum penetration of photovoltaic power on an isolated and low capacity electrical grid. It will supply more than 2,000 MWh of energy, and save 400 tons of fuel per year. Works on site are going well although the teams have to face a harsh climate in that region. Indeed, it is not unusual to have sand storms and very warm temperatures. Most of the engine room is completed and diesel groups are being installed. In the meantime, foundations are nearly finished, assembly of half PV structures and panels has been completed. VERGNET’s established track-record and experience in providing renewable energy solutions in West Africa includes Nouadhibou wind farm in Mauritania. 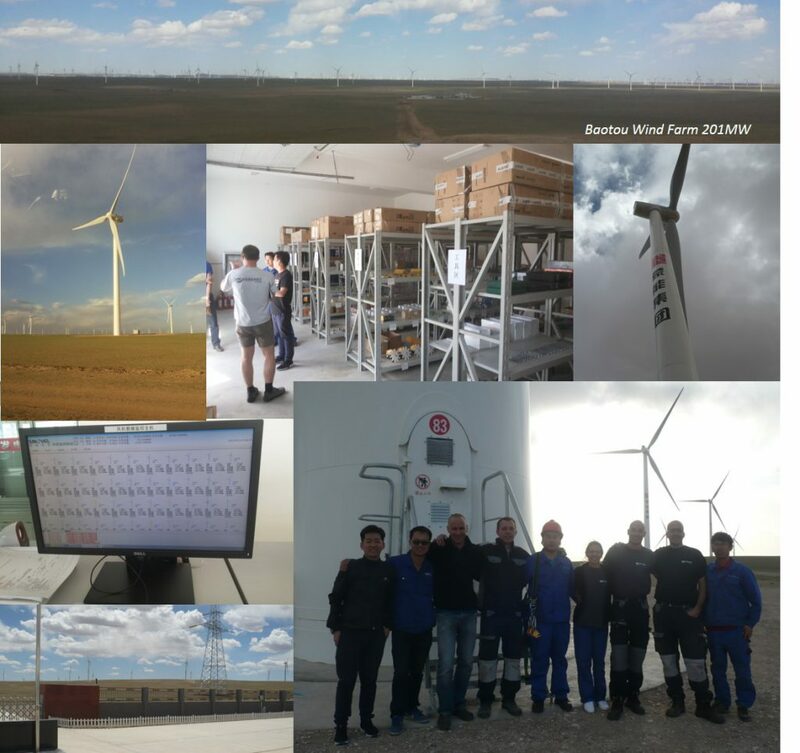 A total of sixteen VERGNET GEV MP-C 275kW wind turbines were installed along with VERGNET’s patented Hybrid Wizard™. This allowed optimisation of wind power production with existing diesel power production to maximise fuel savings. Vergnet Caribbean Business Development Manager, Chris Gavin, was interviewed by St Lucia Star while attending CARILEC’s CEO & Finance Conference. He discussed the CARILEC CEO & Finance event, Vergnet’s services and hot trends to look for in renewable energy. Vergnet Caribbean Business Development Manager, Chris Gavin, was interviewed by St Lucia Star on Caribbean renewables while attending CARILEC’s CEO & Finance Conference between the 16th and 19th May in St. Lucia. Chris described how Vergnet’s first project in the Caribbean was a wind farm in Guadeloupe back in 1993. Since then the company has installed around 262 wind turbine throughout the Caribbean over the past 24 years. Now Vergnet has a subsidiary in Guadeloupe which makes sure that the turbines, no matter where they are in the Caribbean, operate efficiently, and to the best of their ability. Discussion then moved to hot topics in the energy sector and how storage of energy is key in the Caribbean due to a number of reasons inclduing grid instability. Chris then gave an insight into Vergnet’s Hybrid Wizard™ and how it allows everything to seamlessly fit in to optimise the amount of renewable energy that is used on the grid and reducing the amount of fossil fuel used. Vergnet’s patented hybrid solution, Hybrid Wizard™, was the first to maximise renewable energy penetration with real time grid power quality feedback. Any combination of wind, photovoltaic solar and battery storage, for new and existing diesel systems is possible. The hybrid energy software achieves lower fuel consumption, lower cost per kWh and short payback time while also ensuring consistent grid stability and power quality. Hybrid Wizard™ delivers impressive electricity and cost savings – typically ranging from 25%-30% (without storage) to more than 70% in very remote locations with high diesel prices. Find out more about our solar solutions, wind energy solutions, and hybrid energy solutions or read our case studies to learn about our renewable solutions in action throughout the world. Vergnet is attending the Intersolar Europe Exhibition at Messe Münchenin in Munich, Germany, from 31st May – 2nd June 2017. The event is the world’s leading exhibition for the solar industry and its partners with areas of focus for 2017 including photovoltaics, energy storage systems, renewable heating technologies, as well as on products and solutions for smart renewable energy. The key objective of Intersolar Europe is to increase the share of solar power in the energy supply by bringing businesses, technologies and people from the most important markets around the globe together. Over 40,000 people are expected to attend the exhibition including installers and integrators, distributors, project developers /EPC contractors, architects, manufacturers and system suppliers, investors and analysts, utilities, government officials and policy makers. The exhibition and its comprehensive accompanying conference programme focuses on the newest trends, services and products for solar energy. Vergnet, as a leading global renewable energy solutions provider, is delighted to be attending Intersolar Europe Exhibition 2017 to illustrate how we can help to lower costs and produce affordable solar energy and hybrid energy solutions. Many of Vergnet’s projects around the world benefit from a combination of different energy technologies and we have extensive experience in working with customers to define the specific needs of the project and the best integrated solutions which cut energy costs and deliver security of supply and reliability. Vergnet’s experience includes our Kiffa Hybrid Power Plant project in Mauritania, West Africa. 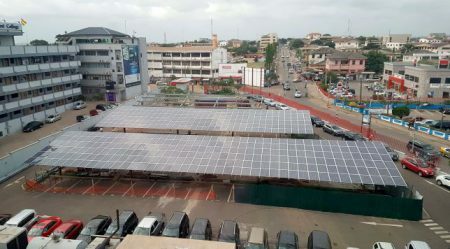 The project consists in the installation of a 1,300kWp solar PV plant, along with a 5 MW thermal plant, which will control output and is expected to benefit the population by supplying more than 2,000 MWh of energy, and save 6860 litres of fuel per year. Find out more about our solar applications, wind energy solutions, and hybrid energy solutions or read our case studies to learn about our renewable solutions in action throughout the world. Vergnet is delighted to announce it is exhibiting at the African Construction and Totally Concrete Expos taking place on the 23rd and 24th May in Johannesburg, South Africa. Vergnet’s 365 MW track record across 60 countries has cemented its reputation of reliable turnkey projects provider, with a special focus on remote or tough environments, notably in Africa. Vergnet is also a recognized pioneer in hybrid diesel/renewable power plants and can bring financing for its solutions, which makes us the ideal energy partner for cement manufacturers and other energy-intensive companies. With 25 years’ renewable energy experience, the company is a market leader in developing energy solutions that perform in the most challenging, complex environments. African Construction and Totally Concrete Expos are Africa’s biggest gathering of construction professionals and attract over 9000 visitors. African Construction and Totally Concrete Expos caters for the entire African construction, cement and concrete industries. It attracts a wide variety of visitors including architects, engineers, contractors, quantity surveyors, government representatives as well as suppliers of products and services to the industry. Vergnet’s most recent African projects includes the Kiffa Hybrid Power Plant in Mauritania which is currently under construction. The hybrid power plant will consist of a 1.3 MWp solar PV plant and a 5 MW LFO/HFO (thermal) power plant that will use Vergnet’s patented real-time and self-adaptive controller Hybrid Wizard™. The power plant is located close to the town of Kiffa and will supply the towns of Kiffa, Guérou and some surrounding villages. To arrange a meeting at the event to discuss how Vergnet can help to lower costs and produce affordable energy projects in the region, please email export@vergnet.fr or come to booth 115. Find out more about the company’s hybrid energy solutions, solar applications and wind energy solutions, or read its case studies to learn about our renewable solutions in action throughout the world. Follow Vergnet on Twitter or LinkedIn to stay up to date with latest news and projects. Its theme this year is ‘Movement: Utilities, People, Technology and Investment’. Vergnet is pleased to announce that it will be attending the 2017 CARILEC Chief Executive Officers and Finance Conference between the 16th and 19th of May in St Lucia. The event takes place in the Sandals Grande Ballroom and its theme this year is ‘Movement: Utilities, People, Technology and Investment’. The Chief Executive Officer’s and Finance Conference is said to be the leading annual networking and information-sharing event of the year for Utility CEO’s and CFO’s in the Caribbean and Latin America. The conference gives a platform for key players in the utility industry to exchange ideas, share advice, discuss challenges and solutions with each other with the aim of providing insight on best practices from the best in the energy business. Vergnet will join other leading sector experts to discuss key issues and innovative solutions to meet the energy and environment challenges facing Caribbean and Latin American countries. Many of Vergnet’s projects around the world benefit from a combination of different energy technologies. The company has extensive experience in working with customers in the Caribbean and Latin America to define the specific needs of the project and the best integrated solutions available to deliver secure, reliable energy and cut energy costs. Vergnet’s established track-record and experience in providing renewable energy solutions in the Caribbean includes Petite Place wind farm in Guadeloupe which consists of nine Vergnet GEV MP wind turbines. The 2,475 MW of energy generated meets the electricity needs of more than 3,300 inhabitants. Vergnet, as a leading global renewable energy solutions provider, is looking forward to attending CARILEC Chief Executive Officers and Finance Conference and meeting with other thought-leaders and delegates in this area. To arrange a meeting at the event to discuss how Vergnet can help to lower costs and produce affordable energy projects in the region, please email export@vergnet.fr. Find out more about our hybrid energy solutions, solar applications and wind energy solutions, or read our case studies to learn about our renewable solutions in action throughout the world. Vergnet’s Mining and Metals Team Lead John Okoro will be speaking at the Canada Institute Mining Convention 2017 on Wednesday 3rd May. Vergnet is pleased to announce that Mining and Metals Team Lead John Okoro will be speaking at the Canada Institute Mining Convention 2017 on Wednesday 3rd May. 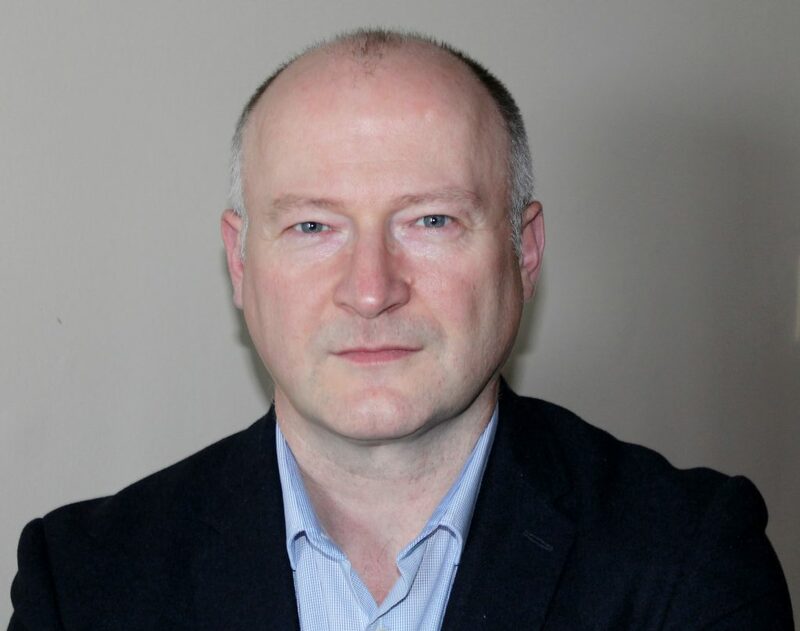 John will be speaking during ‘The Zero Waste Mine: Innovating for a Sustainable Future’ session about integrating renewable energy for off-grid mining between 10.30am and 12.10pm. John will be discussing how energy presents huge operating costs for miners, especially those located off-grid and in areas of erratic power supply. Vergnet will be present at the event in Montreal between Sunday 30th April and Wednesday 3rd May. Vergnet will join other leading sector experts to discuss key issues and innovative solutions to meet the energy and environment challenges facing those in the mining industry. Vergnet, as a leading global renewable energy solutions provider, is looking forward to attending the Canada Institute Mining Convention and meeting with other thought-leaders and delegates in this area. To arrange a meeting at the event to discuss how Vergnet can help to lower costs and mining energy solutions, please email export@vergnet.fr. Vergnet’s track record spans 25 years and includes successful renewable energy installations within the mining industry including Nouadhibou wind farm in Mauritania was commissioned for Société Nationale Industrielle et Minière (SNIM), Africa’s second largest producer of iron ore. Considering the powerful wind potential of the Nouadhibou site (8.78m/s at hub height), SNIM decided to diversify onsite power generation through the development and installation of a wind farm. Click here for more information on Vergnet’s mining industry solutions.